Is value of $\pi = 4$? 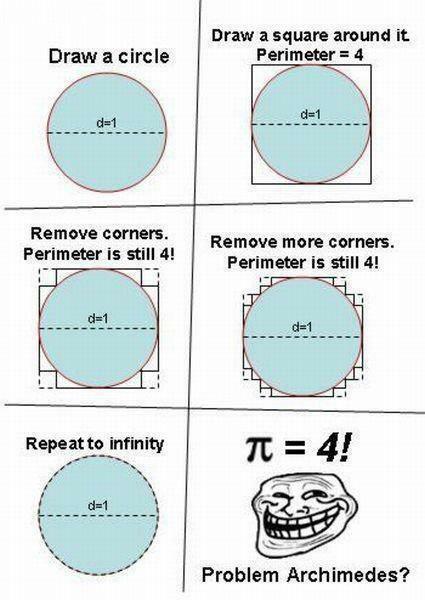 Remove the corners, still perimeter is same. repeat this thing infinite times, you have to see the image below. Browse other questions tagged circles or ask your own question. How to convince a layperson that the $\pi = 4$ proof is wrong? Can this shape contain a circle? What is the relationship between the intersectional area of two circles, compared to two spheres?